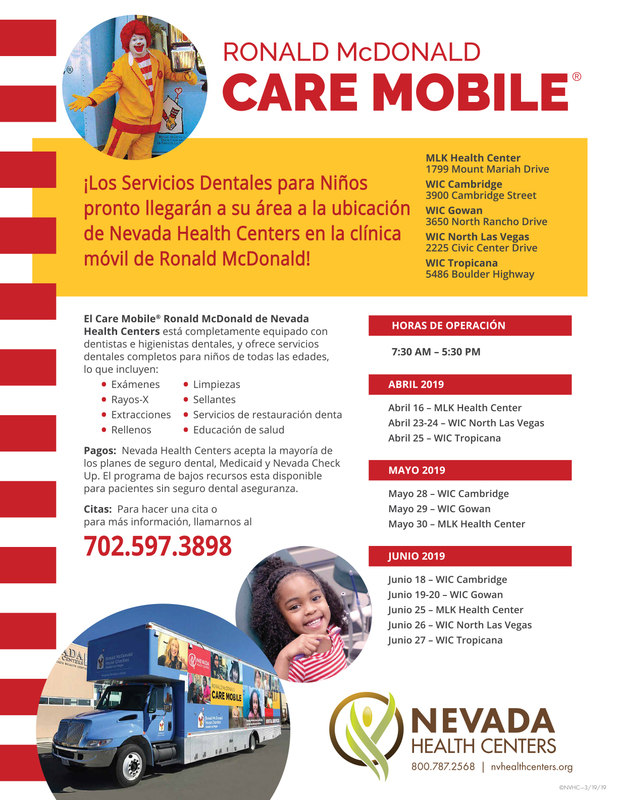 The mission of Nevada Health Centers (NVHC) is to provide access to quality healthcare services. To provide better accessibility to our clients at our WIC locations in southern Nevada, we regularly schedule our Ronald McDonald Care Mobile (RMCM) to visit those sites. RMCM provides dental care for children up to age 21. Appointments are available each day from 7:30 a.m. to 12 p.m. and 1 to 5:30 p.m.
For an appointment call 702.597.3898.